Considering the massive stores of high-value content at stake, it’s important for sports-rights holders to choose the right content-management strategy. For some of the world’s biggest sports-content creators and rightsholders, that strategy involves using active archives to store and manage digital assets. Active archives help them make the most of their precious, once-in-a-lifetime video, audio, and still images. Unlike traditional passive archives, which are built primarily for long-term preservation, active archives are built for easy search, access, and retrieval, with the aim of repurposing and reselling content. Instead of languishing on a tape or a hard drive or in a primitive file system in a passive archive, assets in active archives can quickly and easily be reused as often as you want. In today’s world of fast-paced media — with plenty of ways to repurpose your content and plenty of people looking to acquire it — the benefits of an active archive can’t be overstated. 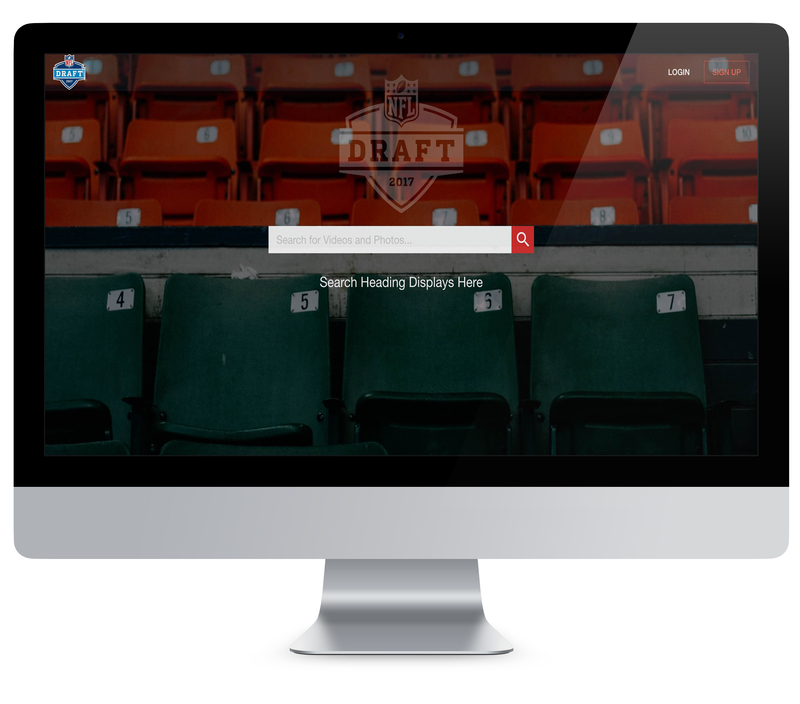 Wazee Digital Core enabled NFL Network producers to easily search and select highlights for promos and features specific to each prospect in the NFL Draft. Many sports-rights holders — such as conferences, governing bodies, and broadcasters — have paired sophisticated active-archive services built by content-management and -licensing experts with cloud-based media-asset–management and –monetization platforms. The result is a powerful solution used not only for storage but as a vehicle for licensing, reselling, and distributing assets to third parties interested in them. The active-archive– and monetization–platform solution has big benefits: in the cloud, assets are more easily discoverable and distributable according to permissions. And, because of abundant metadata, otherwise stagnant or lost assets are available for use. The ability to unlock assets, simplify workflows, and satisfy the needs of their stakeholders has helped many rightsholders make the most out of their content. The solution that played a key role in the 2017 NFL Draft is the Wazee Digital Core cloud-native, software-as-a-service asset-management platform built on active-archive technology. Wazee Digital manages the archive for the NCAA, College Football Playoff, Big Ten, and other major college conferences. Throughout each college football season, Core ingests clean-feed footage from the various games. Because Wazee Digital has the licensing rights to resell footage on behalf of those conferences, the NFL Network commissioned Wazee Digital to collect video clips that its producers could use to create shoulder programming for the 2017 NFL Draft — just as it has done for the past several years. Around the start of the 2016 college season, the NFL Network sent Wazee Digital a list of players for researchers to watch during the season. From that list, researchers created a collection of highlights for each prospect inside Core. The NFL Network worked with researchers to refine the selections, and when curation was complete, researchers pushed the chosen clips to the NFL Network’s folder. From there, NFL Network producers could download the assets and begin their own workflows. Producers tapped the highlights to create promos and features specific to each prospect and broadcast them before, during, and after the Draft. At the same time, these highly curated player highlights could be simultaneously delivered to other sports broadcasters or franchises for further use around the NFL Draft. Because the clips have been made searchable in the archive, the NFL Network can immediately license, deliver, and monetize those moments from an athlete’s career for use in editorial/documentary programming, entertainment, and advertising spots — thereby continuing to generate revenue for the Big Ten and others. Wazee Digital delivered 465 players to NFL Network for the 2017 NFL Draft, with an average of about 10 highlights per player. The players spanned Big Ten, Mountain West, and College Football Playoff teams. Quicker aggregation and delivery: The NFL Draft project would be nothing without the content, and that means ingesting it from various content partners, whose delivery methods are continually evolving. The ability to accept incoming content, aggregate it, and deliver it quickly is paramount. Thanks to improvements in backend technology, such as the ability to accommodate new delivery methods and the addition of new file-acceleration services, Wazee Digital’s aggregation and delivery methods are nimbler and more streamlined than ever. Isolating individual highlights: In years past, researchers would tag metadata for player highlights, but the highlights remained part of the entire game melt. When it was time to fulfill a specific clip, the entire melt would have to be restored first. Now, after tagging, researcher can immediately turn each player highlight into a unique asset; instead of restoring an hour-long melt, the system need restore only a two-minute clip. During the 2017 NFL Draft, this workflow improvement reduced backend restore times and greatly expedited delivery to anyone who needed the clip, whether it was the NFL Network, another domestic sports network, or an NFL team or organization. A new layer of metadata: During the 2016 NFL Draft, clips were tagged with the player’s name, school, and number of highlights available for each player. For 2017, another layer of metadata was added — a detailed description of the play (sack, long TD throw, reception, etc.) — giving producers even more information to help narrow down the content. As a result, when pulling content in real time during the 2017 Draft, producers could more easily locate specific types of plays more quickly. Production around the NFL Draft comes together quickly, so having near–real-time highlights on standby for quick, easy access is paramount. For example, as teams made selections during the Draft, there was an immediate need to showcase the picks, but there was no way to plan for it ahead of time. By having on-demand access to player highlights as players were being selected, NFL teams and other broadcasters could easily satisfy editorial needs to showcase their in-market Draft picks as the action unfolded. The NFL Draft continues to grow in popularity among fans, with this year’s audience being the second-largest ever. The player highlights that came from the backend active archive and cloud-based monetization platform fit in the middle. Ensuring easy access to player highlights by NFL networks, NFL teams, and other broadcasters was critically important for driving the popularity of the event and keeping fans engaged. As the NFL Network, college football conferences, and many other sports properties have seen, a content-management strategy built around active archives and cloud-based monetization can mean the difference between putting assets to work and putting them out to pasture.